There is a need for a militant and strong labour movement to challenge exploitative employment conditions and mobilise for wages and benefits that will allow workers to live better lives. On 10 July 2017, following an appeal by the National Union of Metalworkers of South Africa (Numsa), the Labour Appeal Court ruled that workers employed by labour brokers will be considered permanent if they have been employed for more than three months. According to Numsa, the case involved a labour broking company, Assign Services, which supplies contract workers to Krost Shelving and Racking. NUMSA argued that, to give workers adequate protection under the Labour Relations Act (LRA), the deemed employer should be the client company. According to NUMSA General Secretary, Irvin Jim, the new law ensures that labour brokers may not exploit workers for indefinite periods. Neoliberal globalisation has brought about a process of workplace restructuring, as a basis for competition. In many industries, this has been characterised by the casualisation and informalisation of labour through various labour control strategies. Despite the disbanding of the Apartheid regime, the “liberating” and “stable” employment that many South Africans fought for has not materialised. Instead, working poverty, which was a defining feature of the Apartheid workforce, has essentially been rebranded through labour market flexibility. 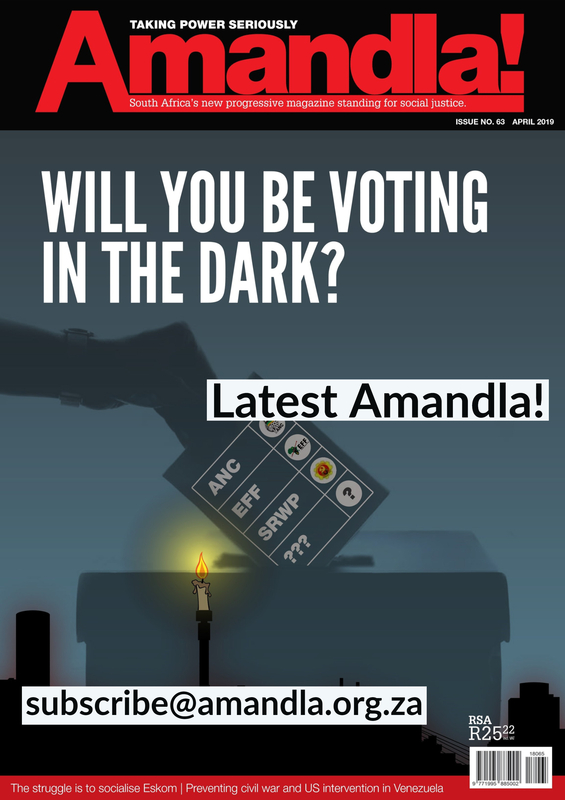 Numsa’s recent victory for temporary workers puts a spotlight on an issue that the poor and working class have been battling with since the emergence of the neoliberal labour regime that began in the 1980s. After the transition it was consolidated into the democratic South Africa. As a response to the socio-political conditions associated with the democratic regime, labour market restructuring has created loopholes for firms. They have been able to avoid responsibility for the legal requirements and risks of labour-intensive industries. They have shifted most of the responsibility and risk to labour brokers and contractors. This has intensified the traditional challenges of the labour force under capitalism. Poor working conditions, low wages and constraints on workers’ ability to organize prevail, as registered contractors compete to supply workers to client companies. This can be seen in the recent worker struggle against labour brokers supplying workers to the Heineken Sedibeng brewery in the Vaal. 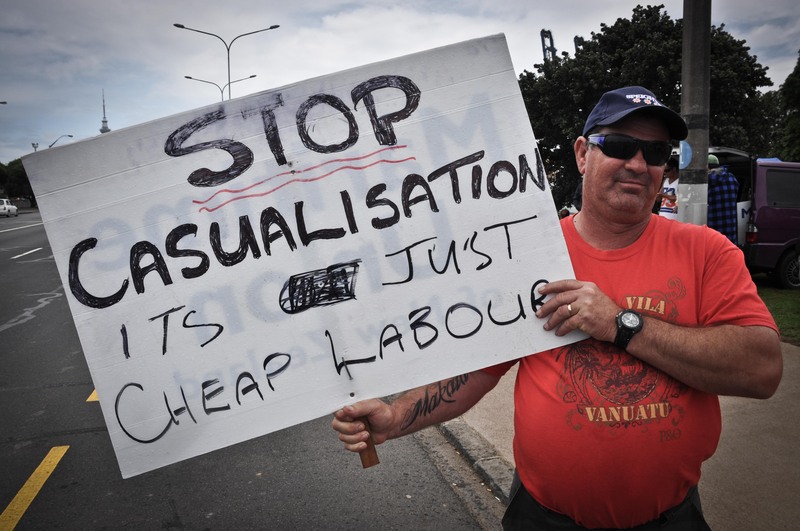 Some workers employed through third-party employers have been reported to earn R30 an hour, on average, and others, on piece rates, as little as R24 for a twelve hour shift. The capitalist system emerges out of force and it is force which maintains it. The labour force can resist the demands of the production system. But the production system can compel it, through force, to accommodate those demands. Employers use various forms of economic coercion. Capital transfers its economic risks to labour though mechanisms of labour market restructuring such as casualisation and informalisation of work. This has significant implications for wages and working conditions, as labour becomes responsible for the risks of the production process. Because the competitiveness of capital relies on an abundant and cheap labour force, labour market restructuring has resulted in the super-exploitation of the working class. Wits Professor, Karl Von Holdt argues that it is a tool for “authoritarian restoration”; for the reassertion of capital’s power over labour. Historically, capital has responded to strong labour movements by adopting strategies to decrease labour costs and increase production control. Casualisation and outsourcing are some of the most common forms of flexible employment and have led to increased precariousness of work. Neoliberal globalisation represents a shift to the right for both the economy and the labour market. It has had damaging effects in poor and working class communities and has led to the reversal of the progress made in dealing with the deteriorating social conditions in the post-Apartheid period. The changes that have taken place in the labour market have perpetuated unequal capital-labour relations. 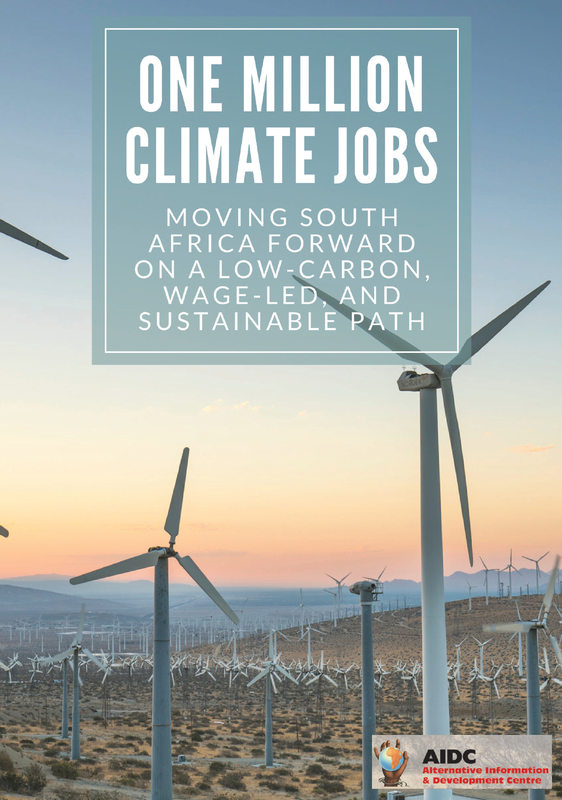 Many expected to find good jobs, employment security and wages and benefits that would allow them to live better lives, in the post-Apartheid period. This has not been the case. Research has instead pointed to increasing levels of unemployment, and the deterioration of wages and employment security. South Africa has also experienced a rapid increase in the incomes of the wealthiest members of society. This comes from the state’s commitment to neoliberal macroeconomic policies, at the expense of the poor. The South African state has also facilitated “authoritarian restoration” through the liberalisation of the economy and the globalisation of production systems. The liberalisation of the South African economy in the late 1980s to early 1990s was the first attempt to undermine the role of unions in the economy. The restructuring of the economy was the precondition for the restructuring of the labour market. There is a need for a militant and strong labour movement to challenge exploitative employment conditions and mobilise for wages and benefits that will allow workers to live better lives. Given the conditions resulting from neoliberal globalisation, this requires that the labour movement take seriously the plight of informal and vulnerable workers, as a large proportion of the labour force remains unorganised. The recent NUMSA victory against labour brokers is a case for understanding the dynamic relationship between capital and labour, and workers’ resistance against their exploitation within the production system. If implemented successfully, it could reduce the limitations placed on worker organisation. More workers would become recognised as permanent workers. They would not only reap the financial benefits of formal work, but they would also be protected in terms of the Labour Relations Act. However, University of Johannesburg Professor, Samantha Ashman, has argued that “the distinctive dynamic of capitalist relations and political forms creates a world economy and international division of labour that incorporates some states and regions on a subordinate colonial basis and places historically unprecedented pressures on others to catch up.” The nature of the capitalist system is that it requires unevenness in order to reproduce itself. It is not likely that capital will willingly concede the demands of the labour force. It will implement labour market “fixes” that will further subordinate temporary workers to the demands of the production system. The increasingly insecure, flexible and unprotected nature of work, together with the disappointing trends in poverty and unemployment, suggest that the solution to labour market restructuring, requires a deeper understanding of the challenges of labour under neoliberalism. Over the last two decades, labour has failed to discipline capital. While it has resisted local capitalists, it has been unsuccessful in dealing with the attacks on labour as a result of neoliberalism. Instead, it has reinforced divisions within the working class as the labour movement prioritises the struggles of the employed and the unionised, e.g. formal vs. informal and employed vs. unemployed. However, the distinction between formal and casual work is not a permanent condition. Labour market restructuring suggests that casual and informal forms of work will eventually erode permanent work. Furthermore, the level and diversity of poverty, unemployment and inequality require that workers must formulate new strategies to address the effects of labour market restructuring on wages, working conditions and the ability to meet basic subsistence needs in poor and working class communities. 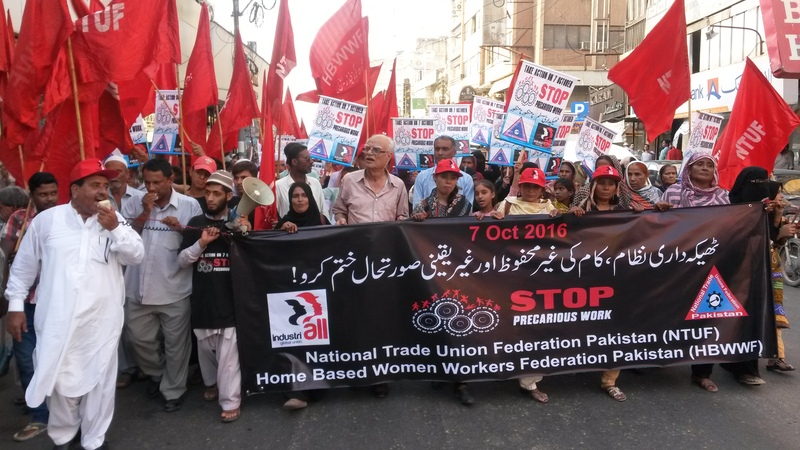 So labour movements and civil society need to protect workers, regardless of whether they are formal or informal workers. This begins with the understanding that casual and informal work is legitimate and all workers need to be protected against exploitation. Moreover, the liberalisation of the economy and the globalisation of production systems require a solution that will deal with the real issue affecting workers — international capitalism. Siviwe Mhlana is an MA student in the Neil Aggett Labour Studies Unit, at Rhodes University. ‹ Where to go with “zama zama” mining?